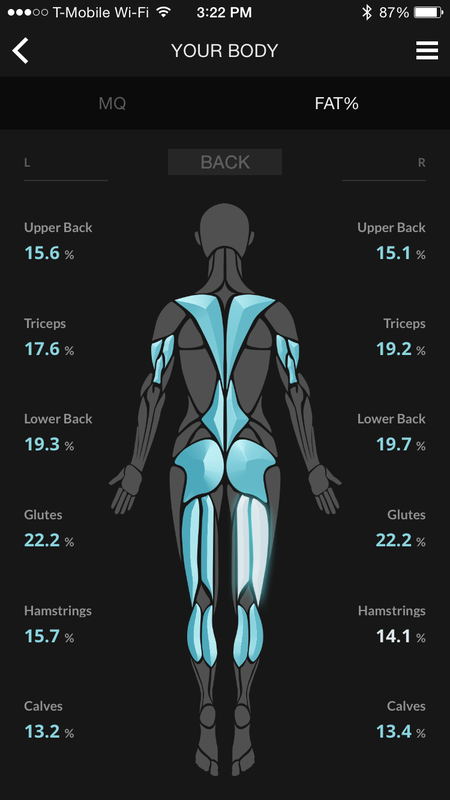 Have you wondered about your body fat percentage or about the quality of your muscles? 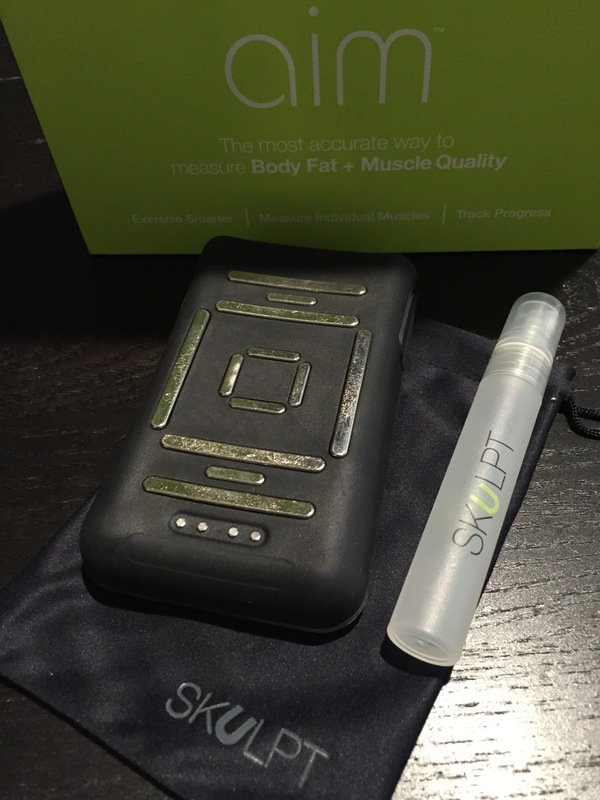 The Skulpt Aim is a neat tool that will measure your body fat and muscle quality. Note: I was given this product to review. All opinions expressed are my own. When I first took it out, I was surprised on how compact it was, it fit nicely in my palm. It measures 2.5″ wide and 4.25″ long. It’s relatively heavy and feels durable. It came with a pouch, water sprayer, and charging cradle (not pictured). In the pic below you can see the back view. 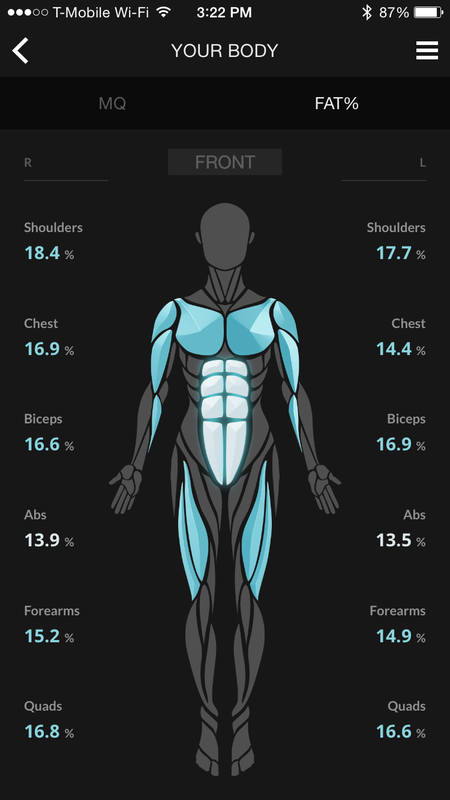 There are 12 sensors that it uses to measure body fat percentage and muscle quality. I was excited to get this to try out. 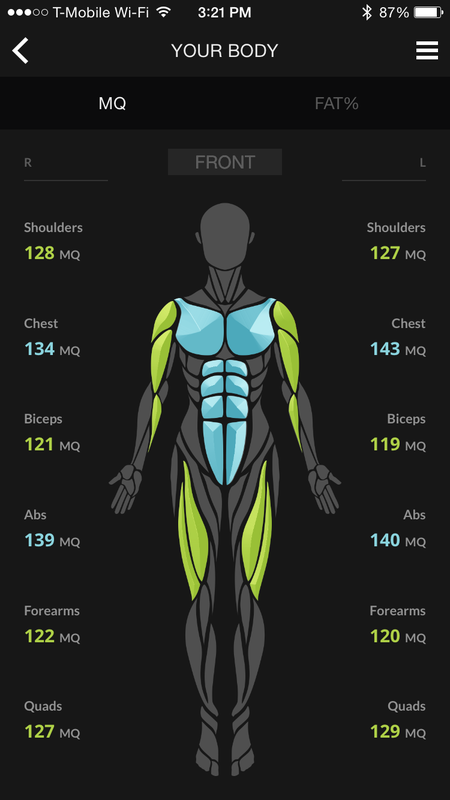 I had no clue on what my body fat percentage would be or what my muscle quality was like. 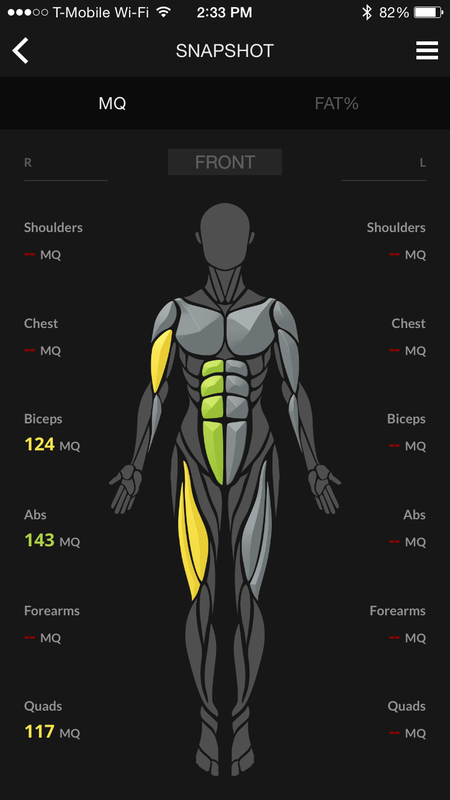 I did not even know what muscle quality was but learned that muscle quality or MQ is the measure of your muscle’s strength and definition. 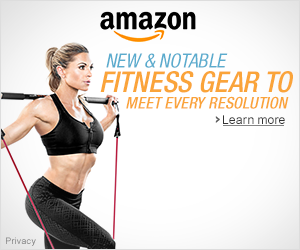 100 is average and the higher the measurement means better fitness. First off, in order to use the Skulpt Aim you need to download the Skulpt app from the Apple or Android and have a compatible device to sync with your Aim. This includes iPhone 5 or later running IOS 8+, and Android devices must have Jellybean 4.3 (or later) version of operating system. It was pretty simple to pair the Skulpt Aim to my phone. Now on to the fun part, seeing what my body fat and muscle quality looked like. It took a little time getting used to on what buttons to press. The left button is the select button and the right hand buttons move the selected item up or down. To measure was really simple. 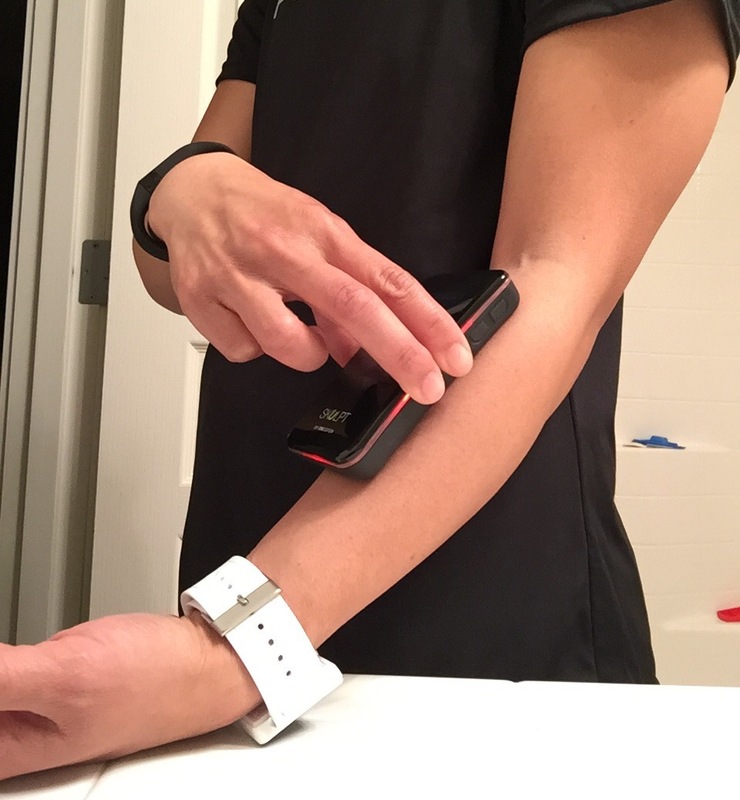 Spray all the sensors with water and then place the device on the muscle you’re measuring. It tells you to relax and not flex. Once you see the light on the device change color, for me it was blue, the measurement was taken. Then it tells you the next muscle on the screen and to moisten the sensors again with water and make sure all sensors are wet. The pic below shows me measuring my left forearm. 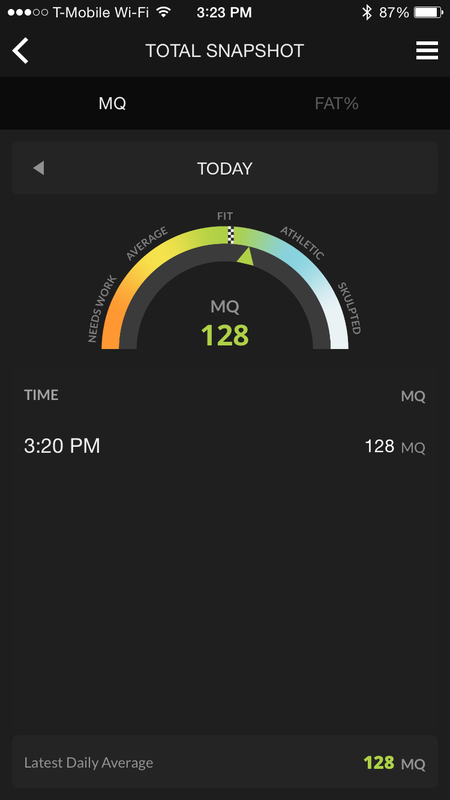 It was nice to know that my MQ was in the fit portion and my body fat percentage was on the athletic side. Overall, my MQ went down one point but body fat percentage was less. 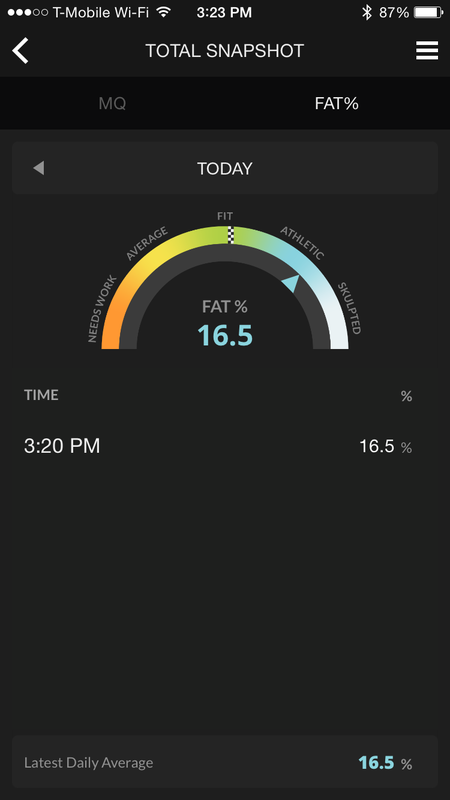 It was great to see my body fat percentage lower. It will be interesting to see how it changes over time as I start running more miles and train for my first marathon. Another great thing about this device is that multiple users can use it. My husband likes using it too. 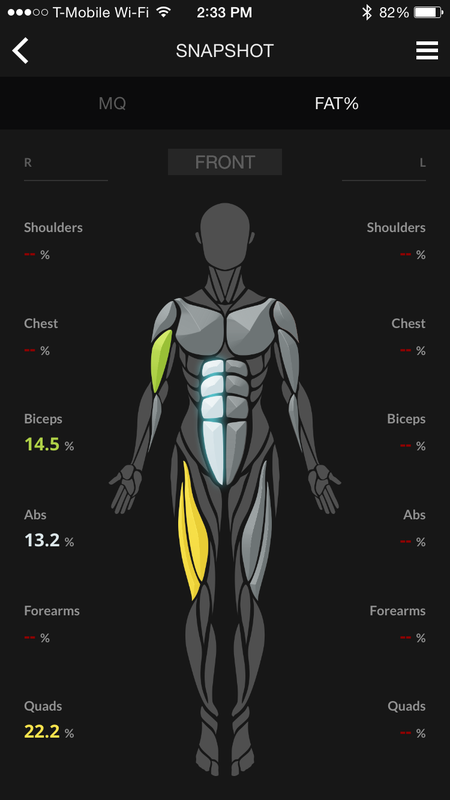 It’s great to know where my body fat percentage is at and my muscle quality. It’ll give me an idea of what I should work on especially if muscle quality really starts dropping. Want more info on this nifty device? Check out the Skulpt Aim at http://www.skulpt.me/. 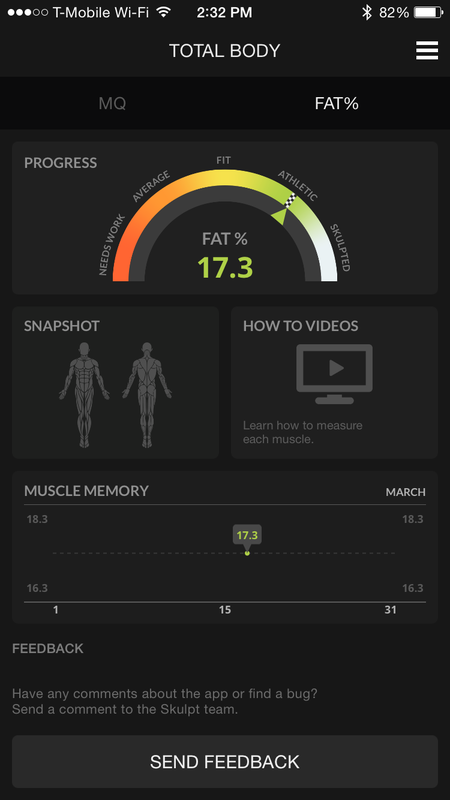 Have you used a body fat or muscle quality analyzer before? Whoa this is so cool! 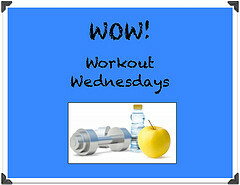 Stopping by from #WOW! stopping in from #WOW. This is cool and a great way to keep track on my own without having it done periodically. Thanks for stopping in! Yes, this tool makes it easy for you to keep track and get measurements on your own. What a cool product! I have a body composition scale – I wonder how this would compare for accuracy. I don’t have a body composition scale but it would be nice to compare. I saw this on the website though, it states ‘5X more accurate than BIA “smart scales”‘. Thanks! It does take some time to get used to. If measuring all your muscles, my hubby just had to help me on the back portion. Nice! It would be nice to compare it with the calipers method. 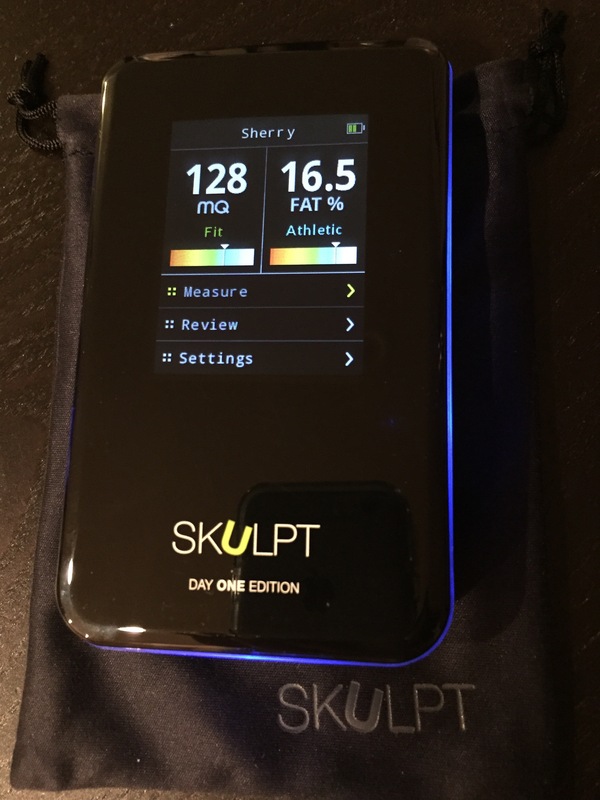 I got to review the Skulp too and I like it! I like how it gives you the measurements quickly! I too am looking forward to track my measurements to see the areas that need work or where I am improving. Yeah, it’s a great device! Hey. Great review. I’ve been using an AIM for ~6 months now with pleasing results. I actually compared my recent reading with a DEXA scan to test it’s accuracy. I’m a PT/bodybuilder/gym addict, so I’ve put it to good use! I really like it. Its great for tracking my own and my clients progress without booking for a dexa scan. Plus not everyone likes having their body pinched with calipers. I compared it to a dexa and its pretty accurate. 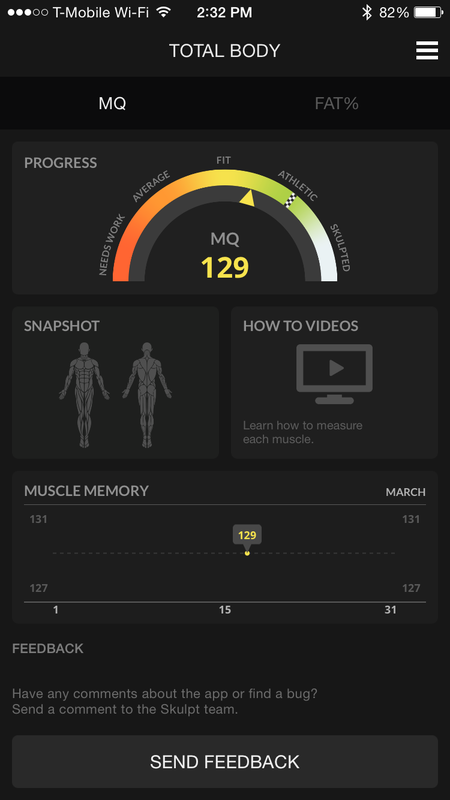 The muscle quality feature is also pretty cool.